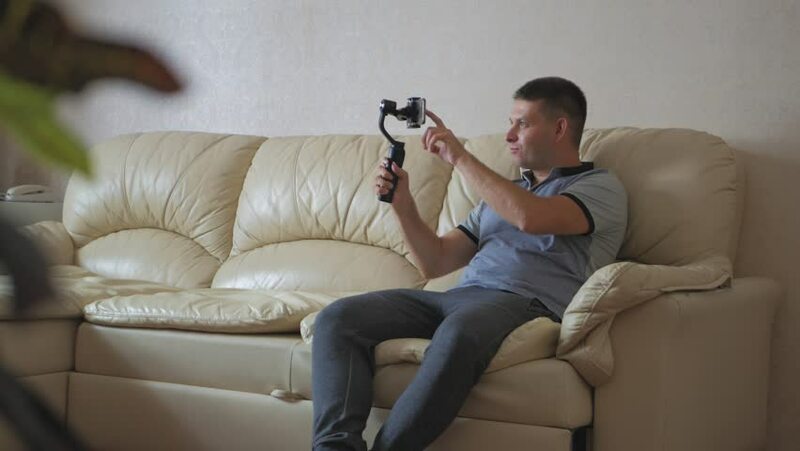 Man holds mobile phone on gimbal sitting on the sofa at home. Smartphone Gimbal the guy shoots himself. 4k00:34Man holds mobile phone on gimbal sitting on the sofa at home. Smartphone Gimbal the guy shoots himself. 4k00:32Man holds mobile phone on gimbal sitting on the sofa at home. Smartphone Gimbal the guy shoots himself. 4k00:25Man holds mobile phone on gimbal sitting on the sofa at home. Smartphone Gimbal the guy shoots himself. 4k00:24Man using a mobile phone at home on the sofa. hd00:09Kids playing a video game.